Soft traditional Italian shaving soap with a clean barbershop scent (bergamot, lemon, lavender and baby powder). A traditional Italian shaving cream soap scented with RazoRock’s Blue Barbershop fragrance, which is a mix of bergamot, lemon, lavender and baby powder. The consistency of the product sits between a cream and a soap, so it could be described as a hard cream or a soft soap. 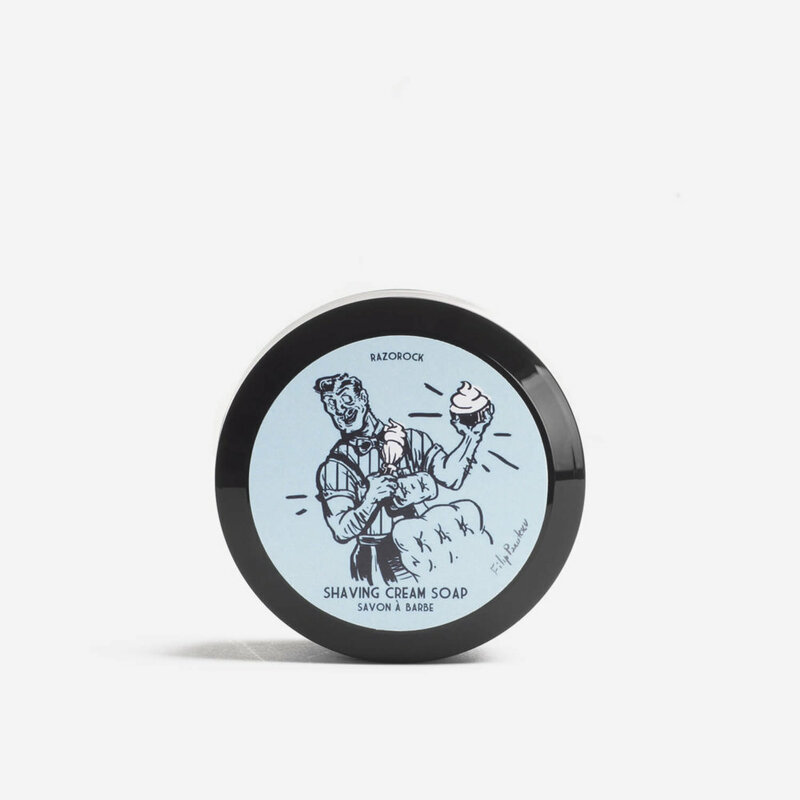 The Blue Barbershop Shaving Cream Soap uses RazoRock’s ‘Super Formula’ enriched with shea butter, argan oil, aloe vera and lanolin.